Two members of Toronto's hip-hop community, Smoke Dawg and Koba Prime, were shot and killed Saturday night (June 30) in the city's entertainment district. CP24 reports that multiple shots were heard outside Cube Nightclub near Queen Street West and Peter Street shortly before 8 p.m. Two male victims were taken to hospital with critical injuries, while a female victim was taken to hospital with serious, but non-life-threatening injuries. Police said the suspects may have fled the scene in a black SUV or a white car. On Saturday night, investigators confirmed that one male victim had died in hospital. Today, investigators confirmed the second male had died following the shooting. CP24 adds that police have not released the names of the victims as they work to notify next-of-kin. 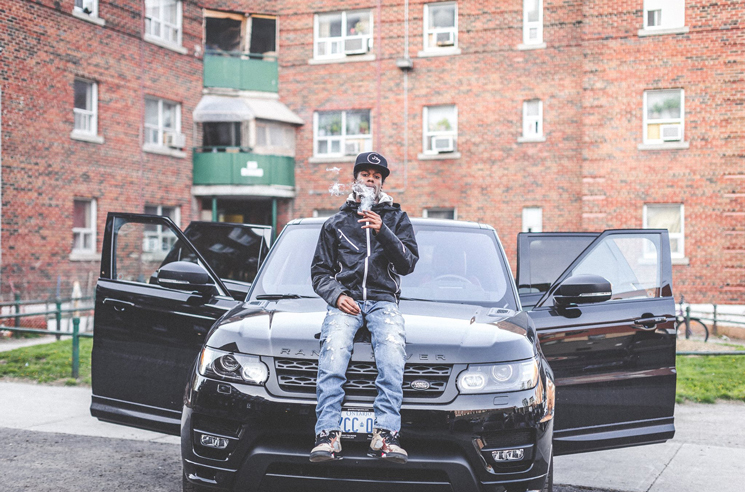 Members of Toronto's hip-hop community and associates, including Drake, have confirmed Smoke Dawg and Koba Prime (born Kosi Modekwe) as the deceased on social media. The former was a member of Regent Park rap collective Halal Gang, while the latter was an affiliate of collective Prime. Together, the two crews would perform and release music as Full Circle. Having collaborated with French Montana and Skepta, Smoke Dawg also performed alongside Drake on the rap giant's recent "Boy Meets World" European tour. Taking to Instagram, Drake wrote, "All these gifts and blessed souls and inner lights being extinguished lately is devastating. I wish peace would wash over our city. So much talent and so many stories we never get to see play out. Rest up Smoke." Modekwe's Prime collective, led by the Prime Boys trio of Jay Whiss, Jimmy and Donnie Prime, is recognized for their work with in-demand beatsmith Murda Beatz as well as coining Toronto's nickname "the 6," further popularized by Drake. It's ridiculous our world has to come to this violence. Especially in a city I'm living in. It's disgusting to see people post videos online and act like this is normal. My brother. I love you, I miss you, I'll always remember you. I'm blessed to have been your friend. You didn't deserve this. RIP @Kobaprime. Love you, brother. Rest easy @Kobaprime.